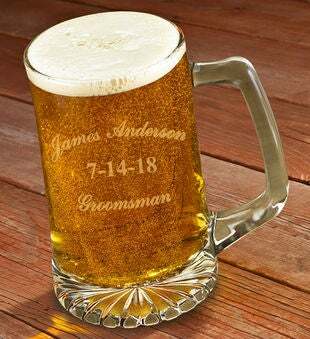 This Personalized 25-ounce Beer Mug is the perfect Groomsmen Gift. It has everything your groomsmen need to enjoy a cold one, including a sturdy, easy-grip handle and a heavy, non-slip sunburst base. Whether it's in use or on display, this personalized beer mug is a great addition to any collection.